heat your kitchen appliance to 350 degrees F.
in a very giant bowl, stir along cheese, horseradish, thousand island dressing and relish till mixed well. Stir in corn beef, dish and sliced cheese. Transfer to a baking or casserole dish and bake for twenty minutes, or till hot and edges square measure effervescent. 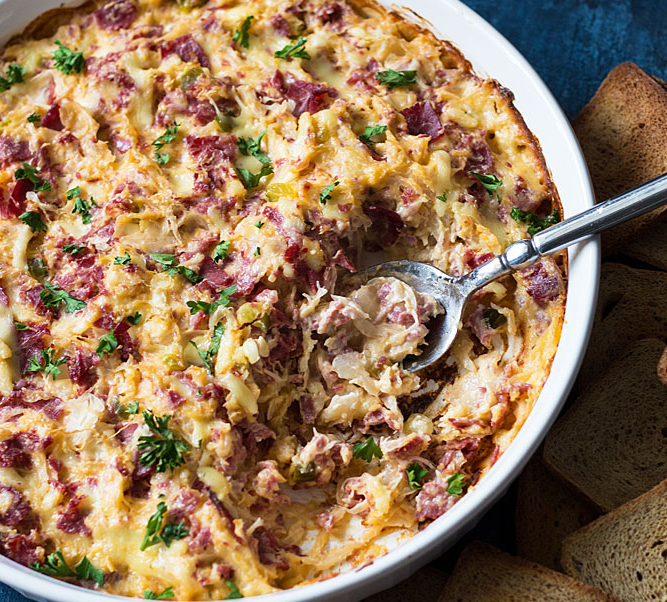 0 Response to "Reuben Dip"